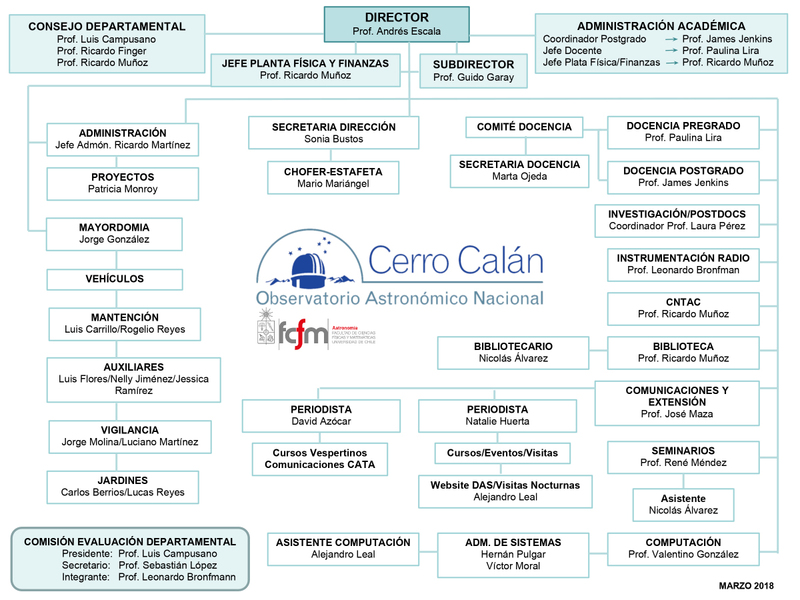 The Astronomy Department of the Universidad de Chile (DAS) is mandated to administer Chilean telescope time on the following facilities: LCO, CTIO, SOAR, PROMPT, Mini-TAO, ASTE, NANTEN2, QUIET, ACT, and the National Telescopes at La Silla. A Call for Proposals is issued twice a year by the CNTAC with due dates around April 15 and October 15. 14-15 May: CNTAC Panels meet. Comunicaciones, Visitas Observatorio: (+56 2) 2 977 1154.